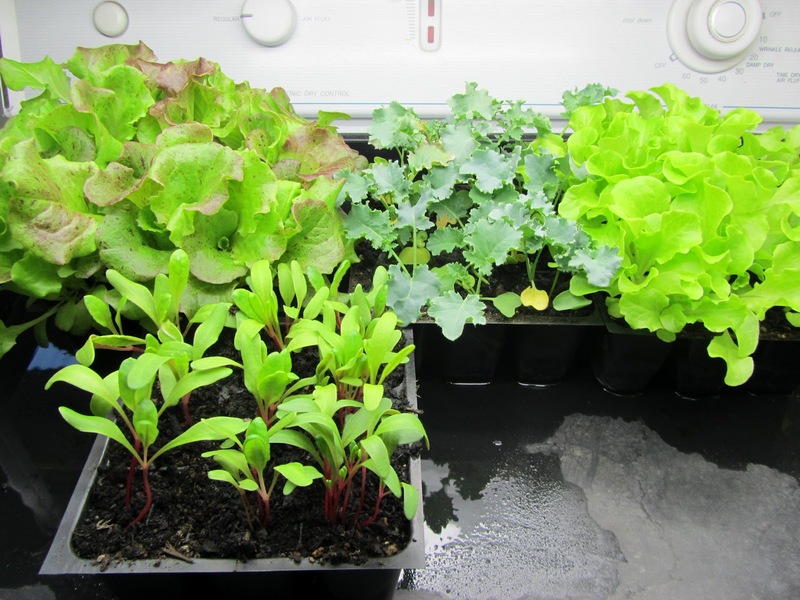 creative savv: Cheap vegetable seeds: are they worth it? Cheap vegetable seeds: are they worth it? Can't you just feel it? Spring is almost in the air! Right? Okay, so not so much in some parts. Well, it will get here! And winter will be not much more than a memory. For now, how about some armchair gardening. It's all the fun of gardening, without the sore back afterwards! I was at Dollar Tree yesterday and discovered that they had their vegetable and flower seeds in stock for this year's planting season. The cashier said they had just received them and put them out. They price their seeds at 4 packets for a dollar. On many varieties of seeds, this is a phenomenal price. I snatched up 16 packets of seeds, and spent just $4. This brand packages their seeds for the discount market. They put less volume in each packet. But there are many instances where these are still a great deal. if you like some of a vegetable, but not a farm's worth. I find this is true for us for beets, chard, yellow wax beans and arugula. Of course, there is an instance where these smaller packets are not the great value that you'd think. large seeds, that you want to grow an entire row or square of, such as peas and beans. 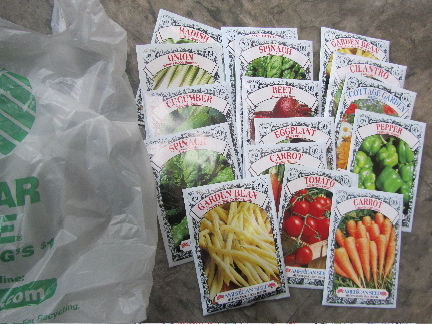 I think there were only about a dozen seeds in each of these packets. I'd need to buy about 5 or 6 packets of the beans to plant a square for the summer. I should be able to find bean seeds for around $1 to $1.50 in larger packets, off the rack at Home Depot or our neighborhood drug store. Both these places discount most of their seeds. And I'll have more varieties to choose from in both the peas and beans at HD or the drugstore. And there's also the consideration that these seeds are not for you at all. if you are looking for heirloom varieties, these are the modern varieties. their variety within a seed type is limited. They package only the most widely available seeds. 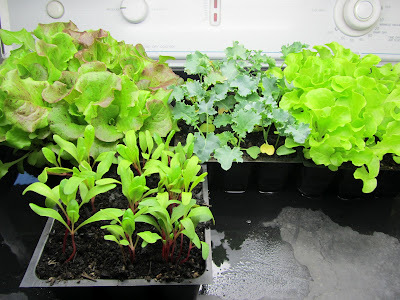 Only 2 kinds of bean seeds, 1 kind of pea, 2 types of lettuce, etc. Other vendors offer a larger variety. And if you have found one specific variety that does well for your garden, you may be better off to stick with that one. You may be wondering if these seeds are viable -- will they produce? My experience has been, yes. Just because they're cheaper doesn't mean they are of inferior quality. The lower price is more a reflection of their ability to buy in volume and limit selection, than of being a lesser quality. I will occasionally find some chaff in the packet, along with the seeds, or a broken large seed like a bean. But I figure for the price, I can overlook a tiny bit of waste. When I'm just not sure if there will be enough seeds in a packet of what I want, I buy 2 packets. It's only an extra 25 cents -- a small price to pay for insurance that I'll have all the seeds I want to plant this year. I spent $4 on seeds so far this year. I'll also be buying bush green beans and snow peas at a place like Home Depot. So my total seed expense should come to about $7 to $8. In comparison, in years that I've bought all my seeds at Home Depot, I've spent about $20 to $25 on seeds for the vegetable garden. If you are interested in this sort of seed deal at a discount store, you'll need to act fast, as their supplies tend to be more limited than nurseries or big box stores. The selection at our local Dollar Tree is picked over by the first of March, every year. I have used this brand of seeds before (got the for ten cents/package) and had good success with them. They do have the drawback of variety, but if they have what you want, I think they work well. !0 cents a package! I haven't seen those sort of prices on seeds in several years. I've had good success with this brand, as well. And for variety, they typically package just 1 or 2 of each kind of vegetable. If you can be flexible on variety, or you just want to try something out for the first time, then they're a great deal. Is that your garden in the photo? It looks very nice, the kind of garden I'm dreaming of one day :) 25 cents is great value for a pack of seeds, the cheapest ones I have seen cost about a dollar. 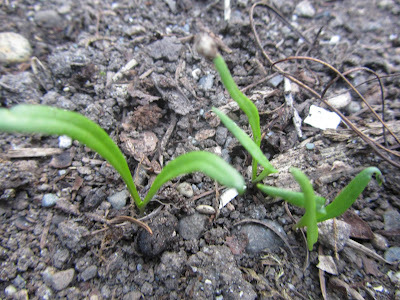 Another tip that I have heard is to plant seeds that are sold as spices (for example coriander/cilantro seeds). I haven't tried it out, but have heard they grow fine. I don't know if it would be cost effective where you are, but I can get about a pound of those seeds for a couple of dollars. 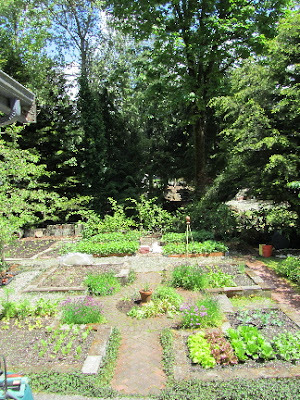 Yep, that's our garden. We keep working on it, building it and adding new things. Our goal is something like an English walled garden. I will try that with the coriander seeds. Some seeds for consumption are heat treated to kill any living beings inside, and will fail to sprout. But some are not. An easy way to see if your seeds have any viability is to place about 10 seeds sandwiched in a folded over paper towel, dampened and slid into a baggie. Place in a warm place, like the top of the fridge, and check after about 10-15 days to see how many sprouted. If 3 sprouted, then your seeds have 30% viabilty, 7 sprouted, then 70% viability, which would be considered good enough by most gardeners. And even $1 a packet would be better than the regular big name brand price of $2.29 each or so, which is what I often see. Saving seeds is also popular with gardeners. If you are saving a non-hybrid plant's seeds, what you plant the next year will grow true to it's name. This is the way a lot of people who plant heirlooms get each year's seeds. My seeds from Dollar Tree not only did well that first year, but I've been using the green pepper and eggplant seeds, as leftover seeds from 2 years ago, with still good viability. Do you remember what kind of cucumber seeds those are in the picture? They look like what I got, but I tore off the top and I don't know what kind they are. I don't remember the variety, but they were slicing cucumbers, not pickling, if that helps. Do you know what type of kale they sell? It was curly kale. It's a very common variety.